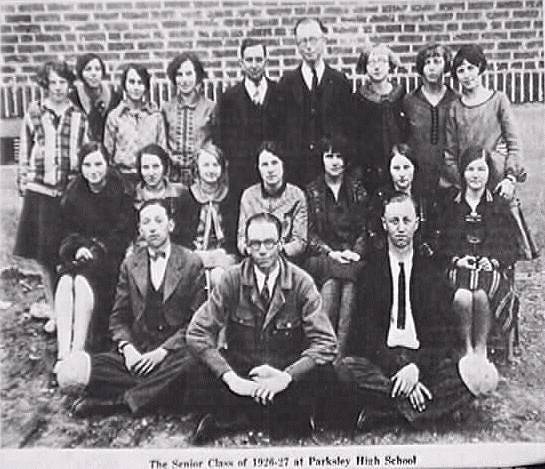 The Senior Class of 1926-27 at Parksley High School, Accomack County, Va.
1926-27 Parksley High School Senior Class. The first person, second row, on the left is Eva Virginia Justis (Burn), and the second person on that row is Evelyn C. Justis (Wampler). If you know the names of others please let us know. Return to the School Photo Album page.